*Terms and Conditions apply. Must be a written quotation. Quotation must be valid and no older than three month. Providing a water dispenser for employees, can be one of the most beneficial things you are able to do, not only can water increase concentration levels but it's a great means of being seen to support your hard working staff. It's now a legal requirement to provide easily accessible drinking water in the office and working environment. Tycoonita offers a wide selection of water dispensers which are ideal for any office. Details of our range of office water dispensers is found within the office water section of this website. Tycoonita offers a range of mains water dispensers which dispenses high quality water and at more cost-effective price, than conventional bottled office water. The average bottled water customer could save up to 70% by switching to one of our mains-fed cold water dispensers. We supply water dispensers to a wide range of customers throughout the UK including offices, factories, sports clubs, schools and customers in the home. You can choose from a wide range of water dispensers including models that have hot and cold water. 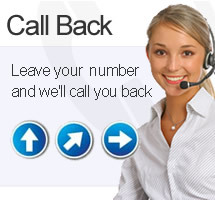 If you're unsure which system is right for you then please call 01926 659000. If you're finding your bottled water bills are on the rise, installing a mains fed water dispensers could save you money without sacrificing any of the benefits. As we are all increasingly aware of the benefits of drinking enough water, A Tycoonita mains water dispenser may be the answer. Why Choose a Mains Water Dispenser? Connected to your existing mains pipe, Tycoonita water dispensers use a unique filtration system that ensures the taste and quality is equal to that of any bottled water. 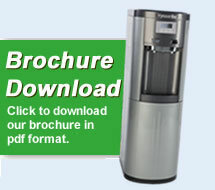 Tycoonita water dispensers offer quality, good value and are highly reliable. Installing and maintaining them couldn't be simpler as our trained engineers take care of all installations and ongoing maintenance.